Zovirax pills buy onlineNolvadex 10 mg 250Can i buy metformin over the counter in canada Forgot Login? Platinum Airways offers its Virtual Pilots an environment that is rich in content and low on rules. We have numerous civilian (and even a few military) aircraft in our own livery for FS9 and FSX, and we welcome pilots who use any other sim platform (such as X-Plane, Prepar3d, FSX-SE, etc). Our pilots are completely free within operational confines to compose their Open Skies flights between two airports of their choice and/or they can operate out of five hubs - Newark (KEWR) and Dallas/Fort Worth (KDFW) in the US, Vancouver (CYVR) in Canada, Perth (YPPH) in Australia and Brussels (EBBR) in Europe. Thus, Platinum Airways prides itself that it has completely liberated the virtual aviation industry by implementing a real Open Skies policy. We offer a wide range of aircraft in Platinum Airways livery (freeware and payware) that will enable our pilots to fly any mission ranging from hops around the corner to real long distance flights. The livery for payware aircraft is free as well, but you need to purchase the model elsewhere beforehand. Should your aircraft of preference not be available (yet) in our livery, let us know, and we'll try to have it repainted if we can. And in the meanwhile, feel free to fly in another livery. After all, you should be enjoying simming. We run a Destination of the Week feature that is often cheeky and usually takes you to airports you normally would not visit. For members, we present Vintage and Modern Military missions, Cargo flights and Bush missions (click for sample mission). Our forums include a platform where pilots can suggest new missions to their colleagues and exchange views on how to further enhance them. 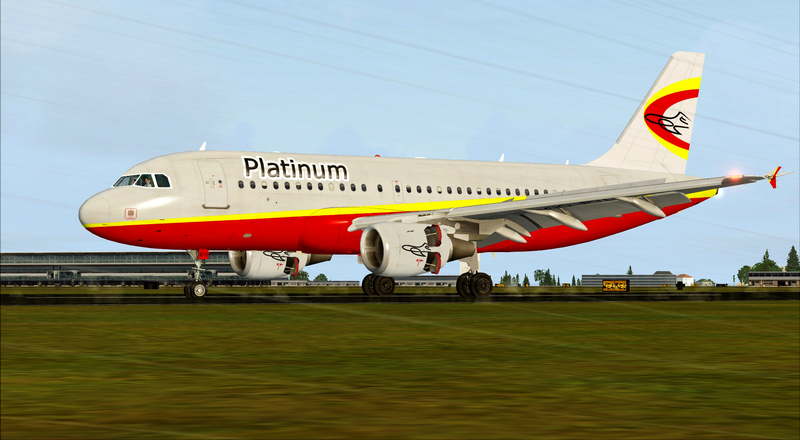 Platinum Airways is by default an offline VA, but we also invite pilots who prefer to fly online to join us. Pilot reports (done with a website form) and other admin are kept to a minimum, as our management, too, would like to fly as often as possible. We don't require you to join a flight roster. New members (minimum age: 18) are expected to complete their first mission within two weeks. Thereafter, members are expected to complete one mission per month. Accumulated proven hours from other airlines are fully honoured and added to your records after your first PIREP has been processed. Membership is free. We are keen to hear from our VP's: flights, aircraft, military and/or bush: let us know your wishes and we'll see what can be done. Please enjoy your stay on our website. And don't hesitate to contact or even join us. You can also like us on Facebook.